Sony has launched new PlayStation Store for the PC. Until now, the PS Store was only available via the PlayStation 3 console. But gamers can now download PSP content direct to their PCs before transferring it to their PlayStation Portables. The site has already gone live, and it's already full of things for you to download. You'll find exclusive full game downloads, classic PSOne games, game demos and trailers as well as music and videos. Payment works in the same way as PlayStation Store on PS3. If you've already registered with the PS Network on the PlayStation 3, your login details will remain the same for the PC store, so you won't have to register again. You can also now manage your PlayStation Network account via your PC, "topping up the funds in your wallet, editing your personal profile or managing your friends list" as Sony points out. End of the road for UMD? Now that downloadable content is becoming a much more important factor for PSP gamers, does this spell the end for Sony's UMD disc format? Not according to Daren Cairns at SCEE. "The UMD business is still good for us and our publishers. 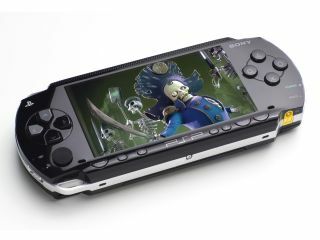 It's still a burgeoning market, and we're still selling a large number of PSPs on a weekly basis, so there are a large number of new people coming into the market," he told gamesindustry.biz. "For us being able to deploy and push additional content, whether it's an additional overlay for a GPS or whatever, it's important going forward. But what we wanted to do was really establish the PlayStation Store on the PC, as it is already on the PS3."